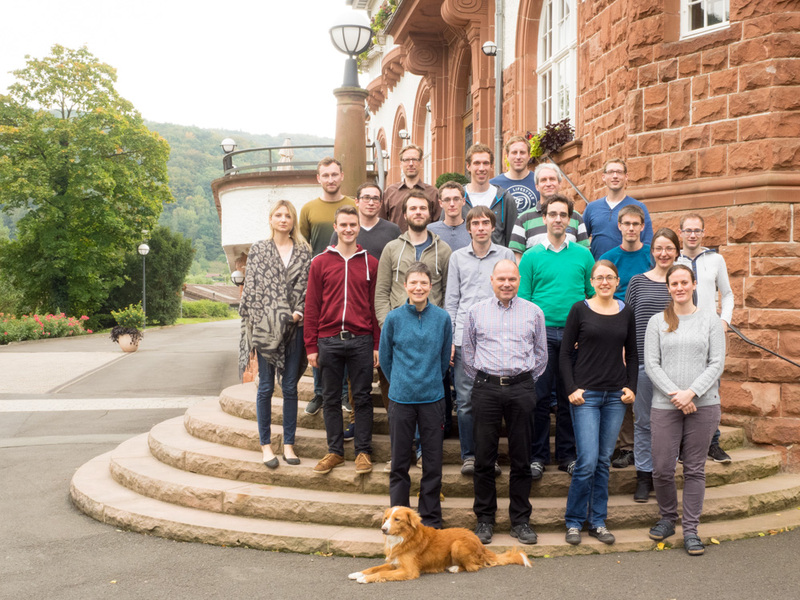 From October 12th till October 14th the CRC workshop on Time Integration of PDEs 2016 took place in the Kurhaus Trifels in Annweiler, close to the castle Trifels. The about 20 participants informed each other by giving talks on their latest results of their research. The main topics were Krylov methods, highly oscillatory problems, alternating direction implicit methods as well as locally explicit and implicit time integration. The breaks between the sessions were used for many fruitful discussions and exchanges of ideas and also for doing undisturbed research in pairs or small groups. The wheather was well-disposed to us, which we used for a beautiful hiking tour on Thursday afternoon. The productive workshop ended with a project discussion on Friday afternoon. Conference photo of the CRC workshop “Time integration of PDEs 2016” in Annweiler. What happens if you take some of the most brilliant minds in mathematics and computer sciences (Fields, Abel, Turing, Nevanlinna Prize Laureates) and bring them together with 200 young scientists? 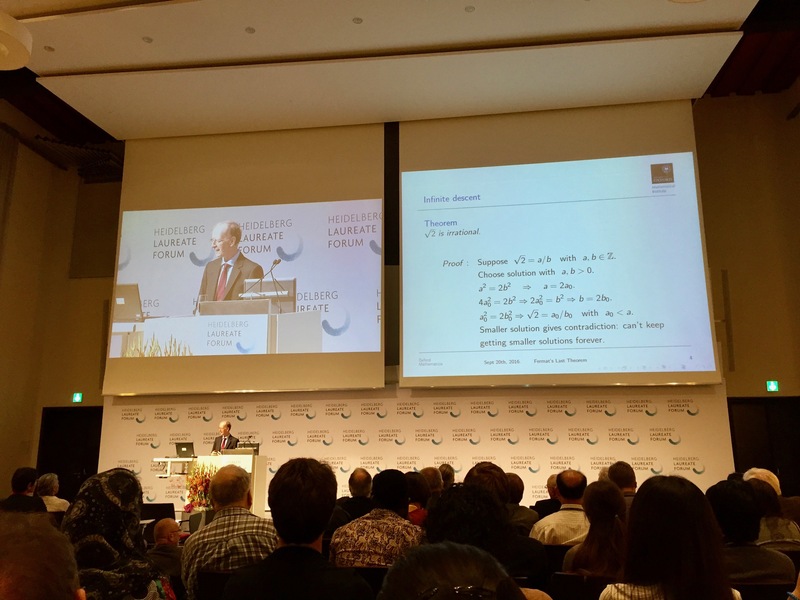 This is exactly what’s at the heart of the Heidelberg Laureate Forum (modelled after the similar annual Lindau Nobel meetings). The result is a wonderful interaction between the young researchers and the laureates, creating some new scientific contacts and sparking ideas that might very well end up as the foundations of new research projects. Last week I had the pleasure to participate in the “Nonlinear PDEs and Mathematical Physics workshop” at the Tsinghua Sanya International Mathematics Forum which took place in Sanya, the main city of China’s province Hainan. It is an island at the most southern point of China and quite close to Macao, Hongkong or Vietnam. Hainan is a tourist region and all participants of the workshop could benefit (but sometimes also suffer) from the warm temperatures around 28 degree (Celsius). In summer it is even warmer so that we were very glad to have this conference at the beginning of December. 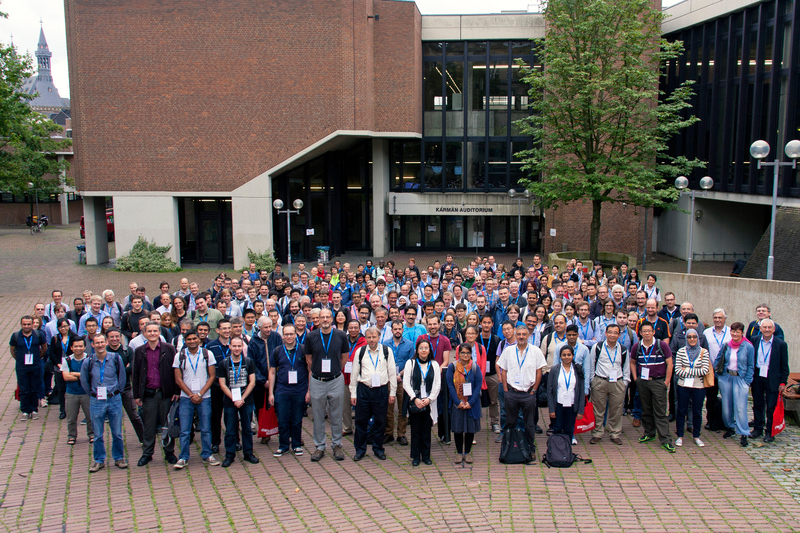 Conference photo of the XVI International Conference on Hyperbolic Problems at the RWTH Aachen. I had the opportunity to attend and participate in the conference “XVI International Conference on Hyperbolic Problems” from 1st to 5th August 2016. This time the conference was organized by the RWTH Aachen University and supported, amongst others, by the DFG. Almost three months have passed since the official opening of the CRC on September 15th/16th 2016. In the meantime many people have asked us if we could publish the inauguration speech given by the spokesperson of the CRC, Prof. Dr. Marlis Hochbruck. We are happy to fulfill this request as a peculiarity on St. Nicholas Day. Here is the speech. Welcome everybody. My name is Marlis Hochbruck. I am a professor of numerical analysis at KIT since March 2010 and currently I am the spokesperson of the CRC “Wave phenomena: analysis and numerics”, which is funded by the DFG since July 2015.